This page is a book collection relating to China and Chinese in comparative perspective. It was initially collected for book review. We then returned the reviewed books to the collection with notes so an overview of related published books can be seen clearly sorted by theme, region and year. 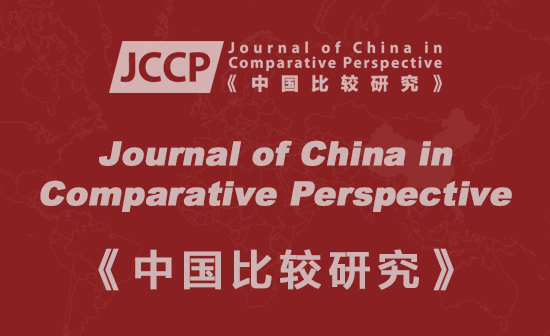 If you are interested in reviewing any book relating to China or Chinese in comparative perspective please get in touch the Review Editor, Professor Keith Jackson (books@gci-uk.org). When choosing your suggested title please also say a few words about why you think the publication would be of interest to readers of the CCP Book Review, and we might be able to order a review copy for you. Note: we inserted notes after titles of books showing some books have been reviewed, but if you still want to write your own review essay or book review that is fine. Manzoor Ahmed. 1991 Basic education and national development: lessons from China and India. UNICEF. , Graham Allison, 2017, Destined for War: Can America and China Escape Thucydides's Trap? Allsen, Thomas. 1987. Mongol Imperialism: The Policies of the Grand Qan Mongke1251-1259. Los Angeles: University of California Press. Christoph Anderl. ed. 2011. Zen Buddhist Rhetoric in China, Korea, and Japan. Brill. Amiya Kumar Bagchi, 1987. Public Intervention and Industrial Restructuring in China, India and the Republic of Korea. International Labour Org. Ildikó Bellér-Hann, M. Cristina Cesàro, Rachel Harris and Joanne Smith Finley. 2007. Situating the Uyghurs Between China and Central Asia (Anthropology and Cultural History in Asia and the Indo-Pacific). Ashgate. Benn, James, Lori Meeks, and James Robson, eds. Buddhist Monasticism in East Asia: Places of Practice. Routledge Critical Studies in Buddhism 53. London: Routledge, 2009. Marinus van den Berg and Daming Xu. 2010. Industrialization and the Restructuring of Speech Communities in China and Europe. Cambridge Scholars Publishing. John G. Blair and Jerusha Hull McCormack. 2010. Western Civilization with Chinese Comparisons. Fudan University Press. Paul J. Bolt. 2000. China and Southeast Asia's Ethnic Chinese: State and Diaspora in Contemporary Asia.Greenwood Press. Kerry Brown. 2015. What's Wrong with Diplomacy: The Case of the UK and China', Docklands: Penguin. Kerry Brown. 2014. China and the EU in Context:Insights for Business and Investors. Basingstoke: Palgrave Macmillan. David P. Chandler & Robert Cribb & Li Narangoa. 2016. End of Empire: 100 Days in 1945 that Changed Asia and the World. University of Hawai’i Press. Brahma Chellaney. 2010. Asian Juggernaut: The Rise of China, India, and Japan. Harper Collins. Frederick Hok-ming Cheung and Ming-chiu Lai. eds. 2001. Politics and Religion in Ancient and Medieval Europe and China. Brill. Amy L. Chua. 2007. Day of Empire: How Hyperpowers Rise to Global Dominance - and Why They Fall. Doubleday. Jae Ho Chung. 2006. Between Ally and Partner: Korea-China Relations and the United States. Columbia University Press. Anthony E. Clark. 2014. Heaven in Conflict: Franciscans and the Boxer Uprising in Shanxi.University of Washington Press. Paul C. Irwin Crookes. 2010. Intellectual Property Regime Evolution in China and India. Brill. Léo-Paul Dana. 2007. Asian Models Of Entrepreneurship -- From The Indian Union And The Kingdom Of Nepal To The Japanese Archipelago: Context, Policy And Practice (Asia-Pacific Business). World Scientific Publishing. Iyko Day. 2016. Alien Capital: Asian Racialization and the Logic of Settler Colonial Capitalism. Duke University Press. Betina Dimaranan, Elena Ianchovichina and William J. Martin 2007. China, India, And The Future Of The World Economy: Fierce Competition Or Shared Growth? Wimal Dissanayake, ed. 1996. Narratives of Agency: Self-Making in China, India, and Japan. University of Minnesota Press. Charles Dumas and Diana Choyleva. 2011.The American Phoenix: And why China and Europe will struggle after the coming slump. Profile Books. Vincent Edwards, Gennadij Polonsky, Danijel Pucko and Malcolm Warner. 2005. Management in Transitional Economies: From the Berlin Wall to the Great Wall of China: Central/Eastern Europe, Russia and China. Routledge. Michael Falser, Ed. 2015. Cultural Heritage as Civilizing Mission: From Decay to Recovery (Transcultural Research - Heidelberg Studies on Asia and Europe in a Global Context). Springer. Robert Feenstra and Gary G. Hamilton. 2006. Emergent Economies, Divergent Paths, Economic Organization and International Trade in South Korea and Taiwan. Cambridge University Press. Feuchtwang, Stephan. 2011. After the Event: The Transmission of Grievous Loss in Germany, China and Taiwan. Berghahn Books. Jos Gommans and Harriet Zurndorfer. eds. 2008. Roots and Routes of Development in China and India. Brill. Charles Grant, The EU, Russia and China, London: Centre for European Reform, 2013. Guo, Shujian. eds. 2010. Environmental Protection Policy and Experience in the U.S. and China's Western Regions. Rowman & Littlefield-Lexington. Carla P. Freeman. 2015. Handbook on China and Developing Countries. Edward Elgar Publishing. Gary G. Hamilton. 2006. Commerce and Capitalism in Chinese Societies. London: Routledge. Thomas Heberer. Translated by Timothy J. Gluckman. 2003. Private Entrepreneurs in China and Vietnam. Brill. Larissa N. Heinrich. 2008. The Afterlife of Images: Translating the Pathological Body Between China and the West (Body, Commodity, Text). Duke University Press. Wai-chung Ho. 2010. School Music Education and Social Change in Mainland China, Hong Kong and Taiwan, Brill. Xiaoming Huang, Alex C. Tan & Sekhar Bandyopadhyay, eds. 2011. China, India and the End of Development Models (Rethinking International Development series), Palgrave Macmillan. Jian Ping. 2016. Dreams and Reality: New Era of China's Reform. world scientific. Dale Weldeau Jorgenson, Masahiro Kuroda, Kazuyuki Motohashi. 2007. Productivity in Asia: Economic Growth and Competitiveness. Edward Elgar Publishing. N Kamachi. 1981. Reform in China: Huang Tsun-Hsieng and the Japanese Model (East Asian Monograph). Harvard University Press. Morita Ken et al. 2010. Transition, Regional Development and Globalization: China and Central Europe. World Scientific Publishing. F.H. King, J.P. Bruce. 2011. Farmers of Forty Centuries or Permanent Agriculture in China, Korea and Japan. Brill. Rollie Lal. 2006. Understanding China and India: Security Implications for the United States and the World (Praeger Security International Praeger Security Internationa). Praeger Publishers Inc.
Yuwen Li. ed. 2005. Freedom of Association in China and Europe. Brill. Yuwen Li and Jenny Goldschmid. eds. 2009. Taking Employment Discrimination Seriously: Chinese and European Perspectives. Brill. Dic Lo and Hugo Radice. 1995. Institutional change and economic development in Central-Eastern Europe and China: contrasts in the light of the 'East Asian model'. University of Leeds. Lin Feng, 2017, Chow Yun-fat and Territories of Hong Kong Stardom, Edinburgh University Press. Jing Men and Benjamin Barton. 2011. China and the European Union in Africa. Ashgate. Robyn Meredith. 2007. The Elephant and the Dragon: The Rise of India and China and What It Means for All of Us. W. W. Norton & Co.
Manoranjan Mohanty, George Mathew, Richard Baum and Rong Ma. 2007. Grass-Roots Democracy in India and China: The Right To Participate. Sage Publications Pvt. Ltd.
Pál Nyíri and Danielle Tan, 2016. Chinese Encounters in Southeast Asia: How People, Money, and Ideas from China Are Changing a Region, University of Washington Press. Chris Ogden. 2017. China and India: Asia's Emergent Great Powers. Polity Books. Chris Ogden. 2016. New South Asian Security: Six Core Relations Underpinning Regional Security. Orient Blackswan. Palit, Amitendu. 2011. China-India Economics: Challenges, Competition and Collaboration. 1st ed. Routledge. Palit, Parama Sinha. 2017. Analysing China's Soft Power Strategy and Comparative Indian Initiatives 1st , Edition. Sage. Michael Pillsbury, 2015. The Hundred-Year Marathon: China's Secret Strategy to Replace America as the Global Superpower, Henry Holt and Co.
Stefania Travagnin. 2016. Religion and Media in China:Insights and Case Studies from the Mainland, Taiwan and Hong Kong.Routledge Publishing. B Sudhakara Reddy. 2009. Economic Reforms in India and China: Emerging Issues and Challenges. SAGE Publications Pvt. Ltd.
Adolf Reichwein. 2007. China And Europe - Intellectual And Artistic Contacts In The Eighteenth Century. Read Books. James F. Rinehart. 1997. Revolution and the Millennium: China, Mexico and Iran Greenwood Press. Riordan Roett and Guadalupe Paz, eds. 2008. China's Expansion into the Western Hemisphere: Implications for Latin America and the United States. Brookings Institution,U.S. Joëlle Rollo-Koster. ed. 2002. Medieval and Early Modern Ritual: Formalized Behavior in Europe, China and Japan. Brill. Tiina Salonen. 2010. Strategies, Structures, and Processes for Network and Resources Management in Industrial Parks: The Cases of Germany and China. Josef Eul Verlag Gmbh. Clara Sarmento. Ed. 2007. Eastwards / Westwards: Which Direction for Gender Studies in the 21st Century?, Cambridge Scholars Publishing. 2007. Srinivasan, T. N. 1994. Agriculture and trade in China and India: policies and performance since 1950, San Francisco, Calif. : ICS Press. P S Suryanarayana. 2015. Smart Diplomacy: Exploring China-India Synergy, World scientific. Shogo Suzuki. 2009. Civilization and Empire: China and Japan's Encounter with European International Society (East Asia's Encounter with the European International Society - New International Relations).Routledge. Alexei D. Voskressenski. 2002. Russia and China: A Theory of Inter-State Relations.Routledge. Ming Wan. 2015. Understanding Japan–China Relations: Theories and Issues. world scientific. Faye Fangfei Wang. 2010. Internet Jurisdiction and Choice of Law: Legal Practices in the EU, US and China. CUP. Shih-pe Wang, Tian Yuan Tan and Paul Edmondson. eds. 2016. 1616: Shakespeare and Tang Xianzu's China, Bloomsbury Arden Shakespeare. Wang, Zhenxu, 2008. Democratization in Confucian East Asia: Citizen Politics in China, Japan, Singapore, South Korea, Taiwan, and Vietnam Youngstown, NY: Cambria Press. The Theory Aspect (in Chinese), Publications Centre of the University of Macau, 2013. 魏楚雄, 陳奉林 編. 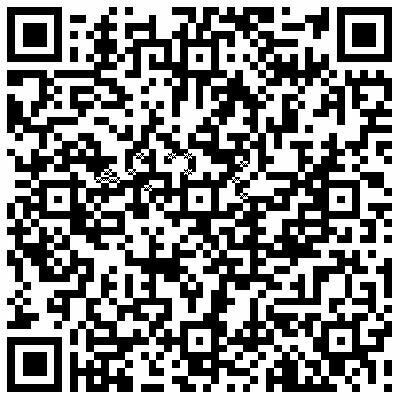 《東西方文化與外交方略比較理論篇》, 澳门大学出版中心，2013年. Robert P. Weller. 2006. Discovering Nature: Globalization and Environmental Culture in China and Taiwan. Cambridge University Press. L. Alan Winters, Shahid Yusuf, eds., 2007 Dancing with Giants: China, India, and the Global Economy, World Bank Publications. Brantly Womack. 2006. China and Vietnam: The Politics of Asymmetry. Cambridge University Press. Yu-shan Wu, 1994. Comparative Economic Transformations Mainland China, Hungary, the Soviet Union, and Taiwan, Stanford University Press. Yang Fenggang and Joseph Tamney, eds. 2011. Confucianism and Spiritual Traditions in Modern China and Beyond. Brill. Shakespeare in China: A Comparative Study of Two Traditions and Cultures. By Xiao Yang Zhang. Newark: University of Delaware Press, 1996. Zhao Ping and David J. Grimshaw. 1991. A comparative study of the application of IT in China and the West: culture and the stages of growth model. University of Warwick. Suisheng Zhao. 1999. Across the Taiwan Strait: Mainland China, Taiwan and the 1995-1996 Crisis: Routledge. Yongnian Zheng, Liang Fook Lye, 2015. Singapore–China Relations, world scientific.